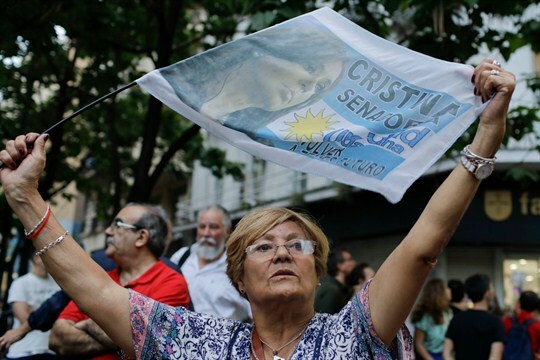 A woman holds a flag decorated with a picture of Argentina’s former president, Cristina Fernandez, during a rally to show support for her, Buenos Aires, Argentina, Dec. 7, 2017 (AP photo by Natacha Pisarenko). As the deadline to register for this year’s presidential election in Argentina approaches, the outlook for the vote in October looks increasingly muddled. The legal troubles for former President Cristina Fernandez de Kirchner continue to mount, with yet another indictment just last week. But she remains the favorite to take on President Mauricio Macri, who defeated her party’s candidate in 2015.